Tehran, Sept 15, IRNA – Spokesman for Atomic Energy Organization of Iran Behrouz Kamalvandi on Monday predicted that construction work on two new Iranian nuclear power plants will begin by the end of 2014. Iran and Russia are working together to finalize the agreements, which he said contain legal, commercial and technical aspects, Kamalvandi said. 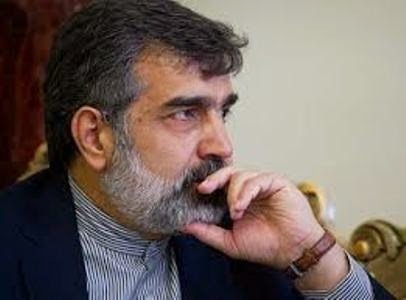 Kamalvandi, who is also the AEOI deputy chief for international affairs, said that during a visit to Tehran by Deputy Director General of Russia's state nuclear corporation Rosatom, Nikolai Spassky, and his own recent visit to Russia, Iran and Russia had held good talks. He added that in his talks with Rosatom Director General Sergey Kiriyenko, they had nearly concluded an agreement on construction of two power plants equipped with water desalination units near the current Bushehr Power Plant. He said that negotiations on the costs between Iran and Russia is nearly complete, adding that the new power plants will be similar to the Bushehr Power Plant in view of technical features, but are more advanced and equipped with water desalination units. He predicted that the construction work on the new power plants will take between five and seven years.